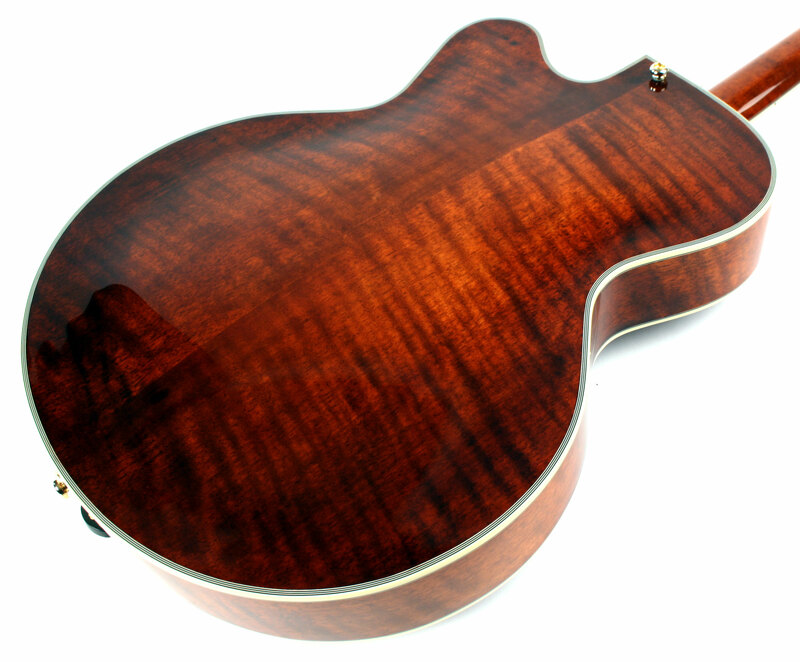 Premium archtop with a carved top and a mounted humbucking pickup! 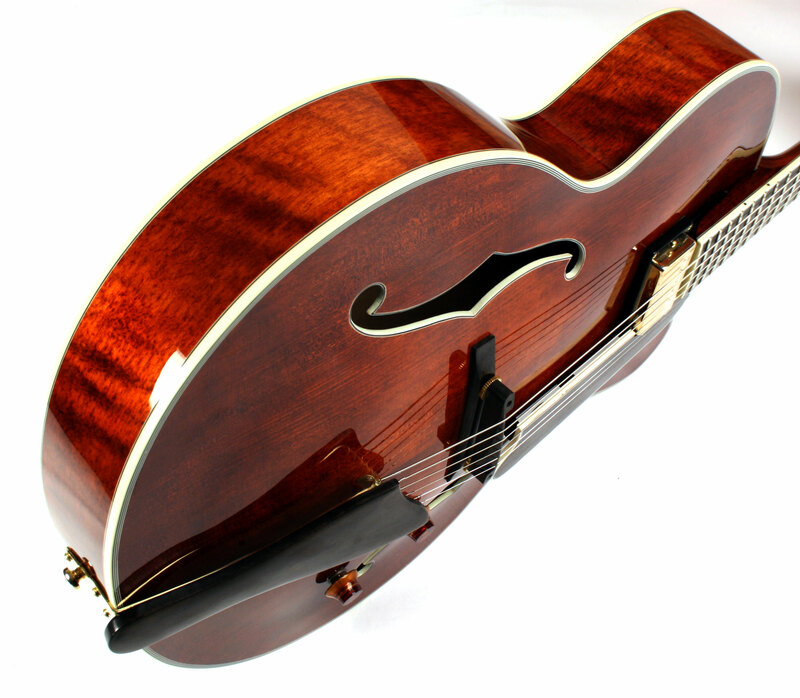 Eastman Uptown professional archtop guitars are each carved entirely by hand. The solid maple back and sides and solid aged spruce top are complimented by a 3-piece maple neck with a solid ebony fingerboard. 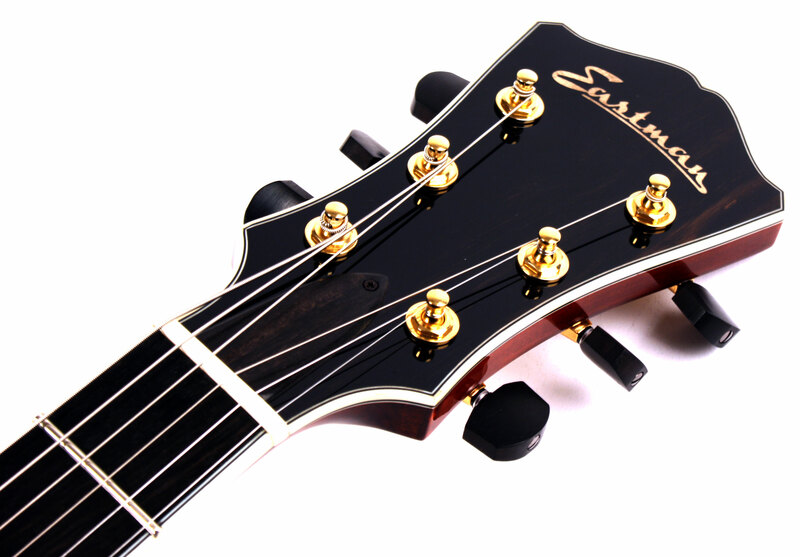 All Eastman guitars feature X-style bracing. 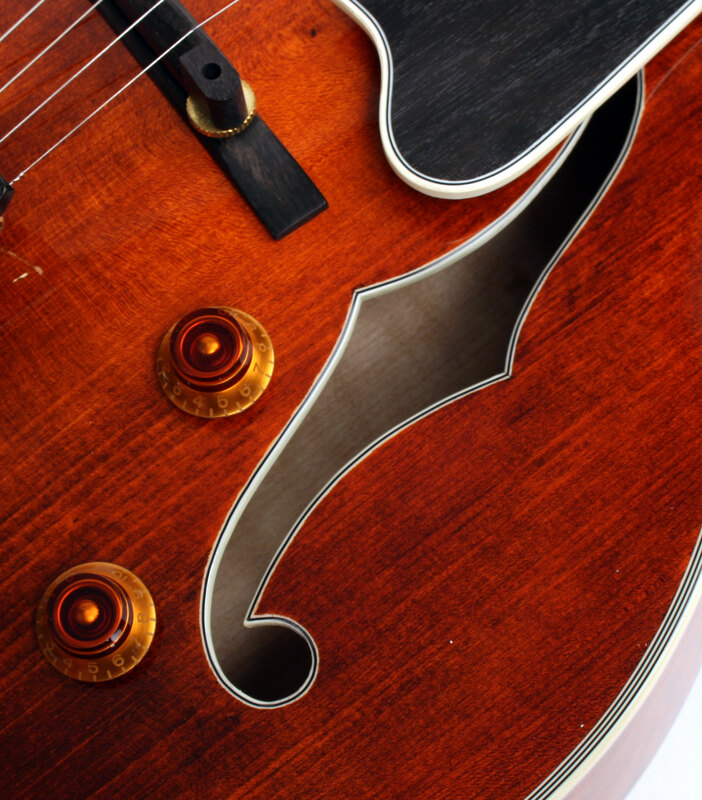 Heavy-duty tuners, a classically designed tailpiece, and a J.W. 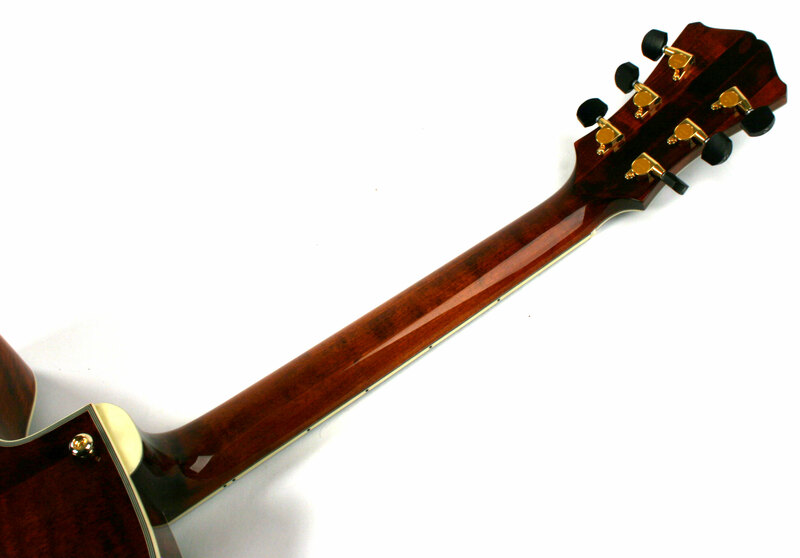 Eastman fiberglass case all come standard. 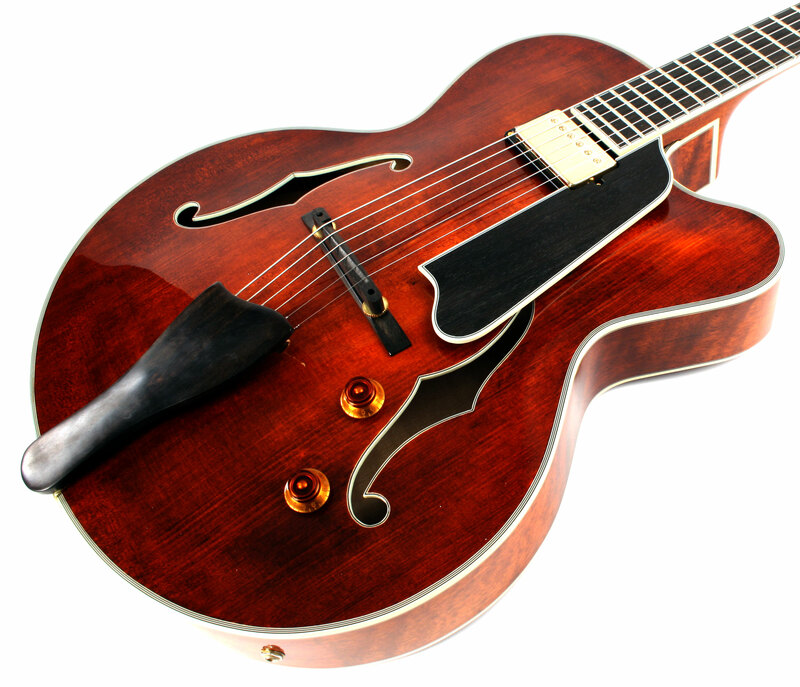 Designed with the serious Jazz musician in mind, the Uptown 803 is everything a 16" hand-carved archtop guitar should be.